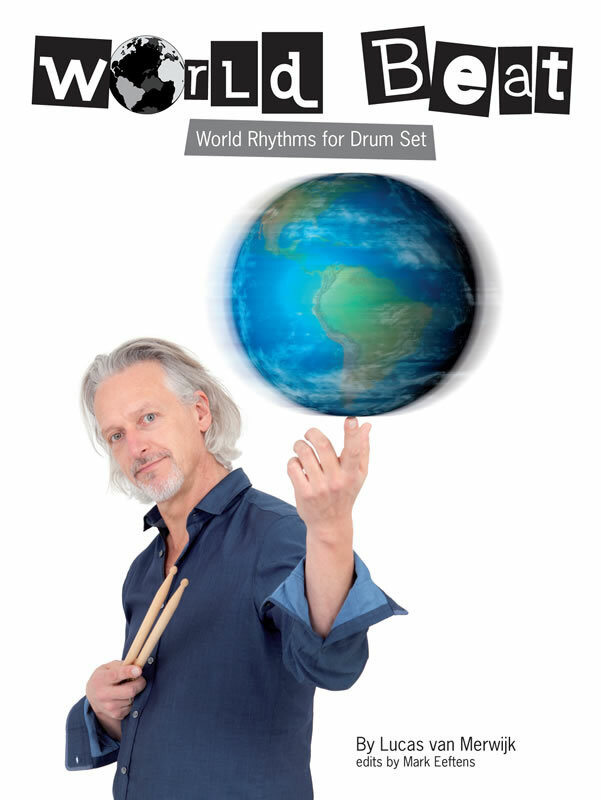 In 2013 Lucas Van Merwijk published his drum book World Beat, World Rhythms for Drum Set. This unique method is a special selection of World Drum Grooves collected by drummer Lucas van Merwijk during his musical encounters in South America, Africa, East Europe and the Middle East. Now, available as download with iBooks on your Mac or iOS device, World Beat contains great sounding drum grooves with more than 800 clear audio samples and Play Along Tracks with piano and bass. 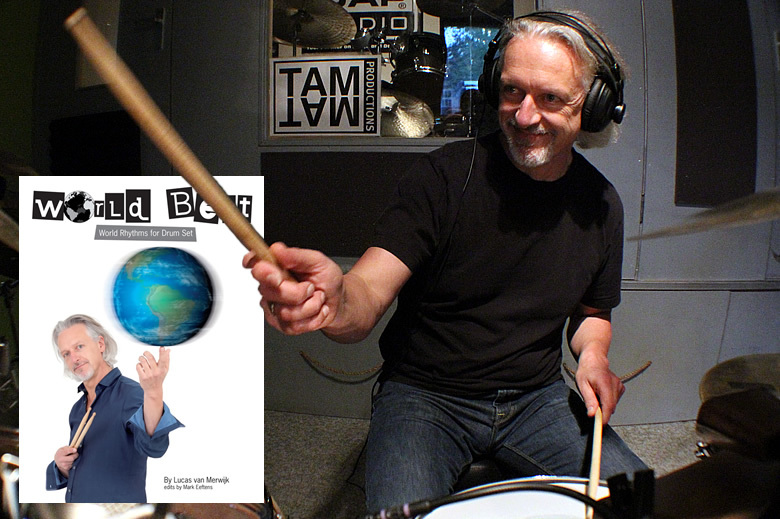 World Beat is truly a must have for drummers from all levels that want to expand their knowledge and skills in many new ways. 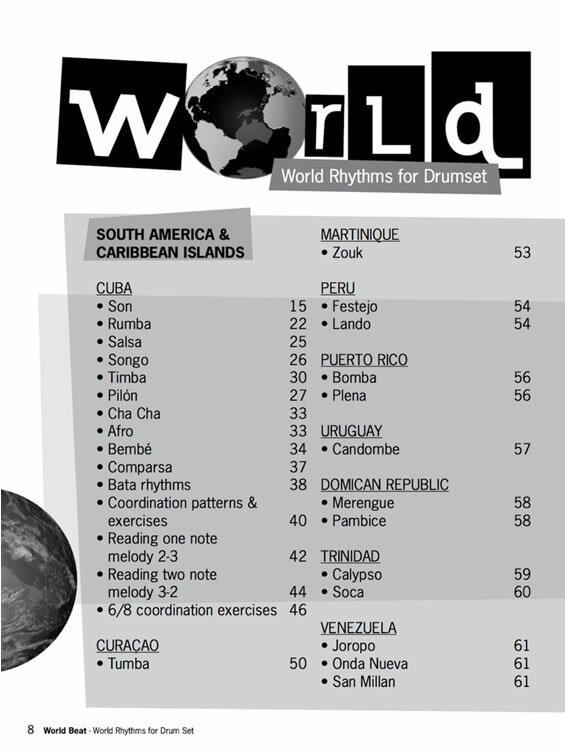 Download World Beat - World Rhythms for Drum Set here. 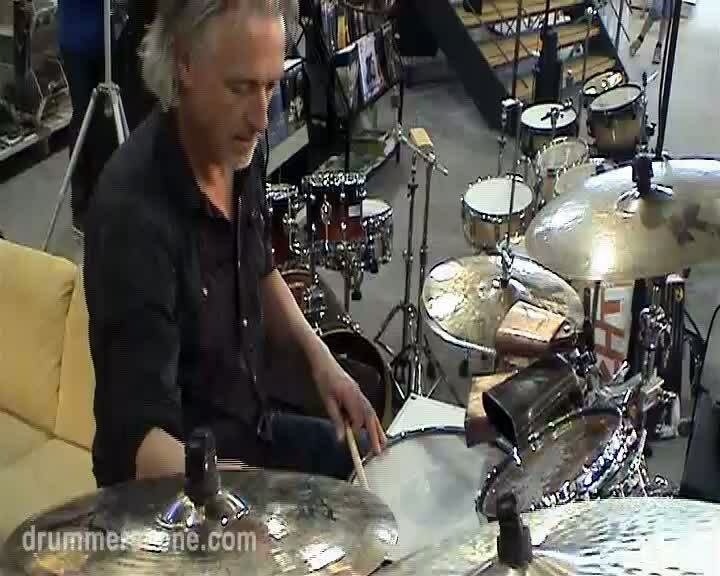 Watch: Lucas van Merwijk - World Beat drumsolo - part I & II with this article. 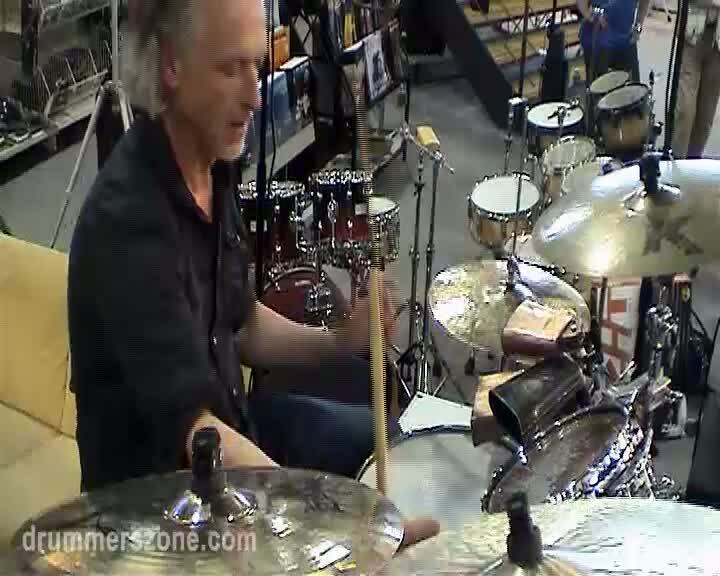 "Lucas van Merwijk is one of the great drummers of our time. He lays down so much good stuff that even the eyes of a trained drummer can't catch it all." 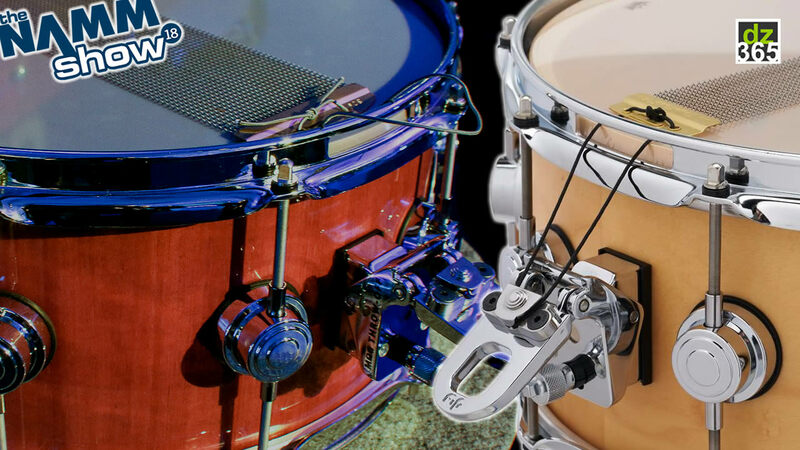 The drum set or drum kit as an instrument is a relatively recent innovation that has undergone rapid development. Since its introduction at the beginning of the 20th century with the birth of American jazz it has spread all over the world. 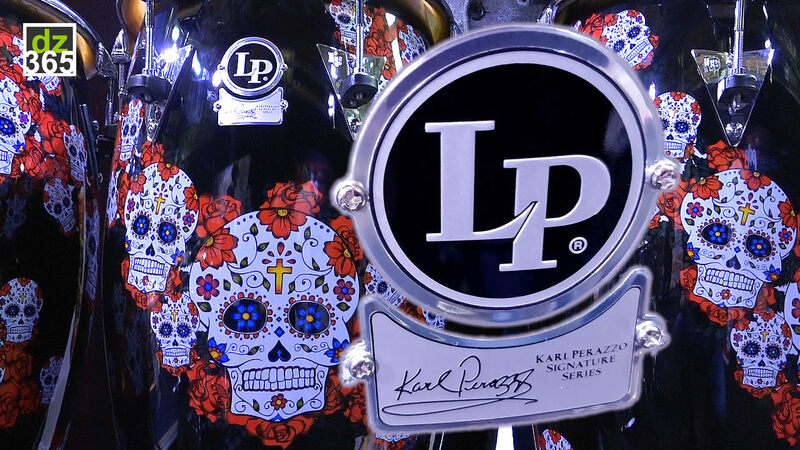 Popularized by drummers in rock, pop and jazz it soon became a common instrument in many different cultures. Nowadays the drum set is used in Latin, African, Asian, Eastern European and Arabic music in the genre known as world music. 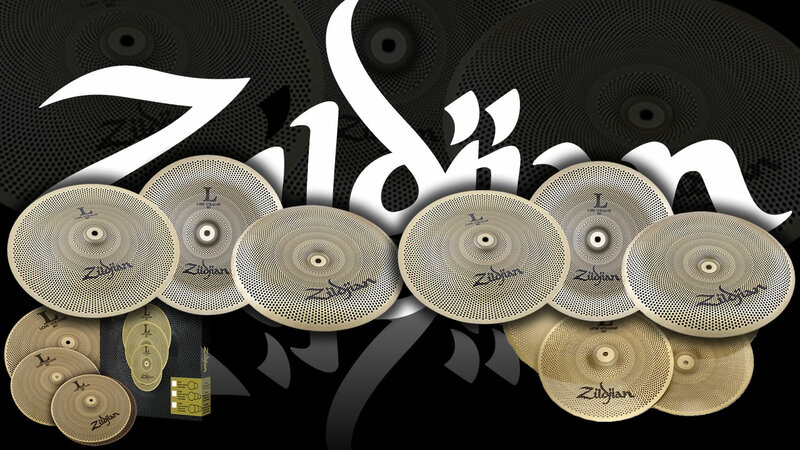 Recent years have seen a dramatic growth in the variety of world rhythms now being played on the kit which continues to expand to this day. In this book you will find a selection of these rhythms. It certainly does not claim to be exhaustive in covering all existing world rhythms. there are simply too many of them. We have tried, however, to present a collection of world grooves that are both useful and instantly fun to play on the drum set. 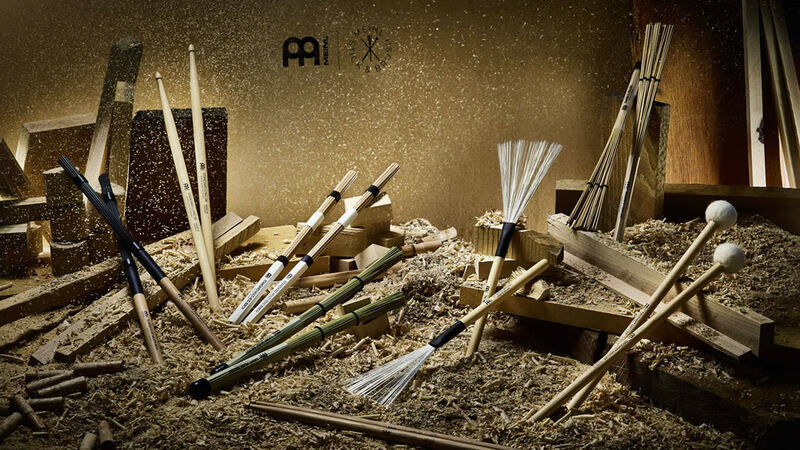 In most cases these grooves were originally played on traditional drums and percussion instruments that have been transposed here to the drum set. Anyone wishing to gain a much more comprehensive insight into the backgrounds of these special sorts of music would inevitably have to make an in-depth study. Our aim was to keep this book practical. 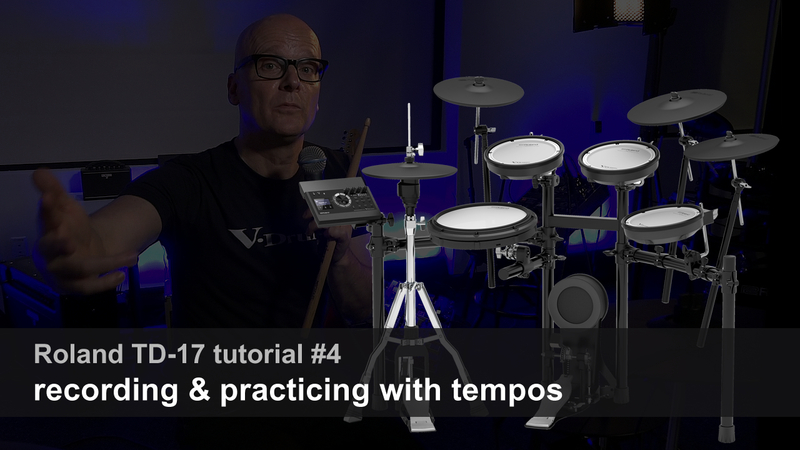 The rhythms presented here were all used in live situations and have proven to be valuable. Playing with percussion players from all over the world has always inspired me and has changed my approach to the drum kit. Now I would like to share these rhythms with you! Hopefully this book will inspire you to take a walk on the rich road of world rhythms. 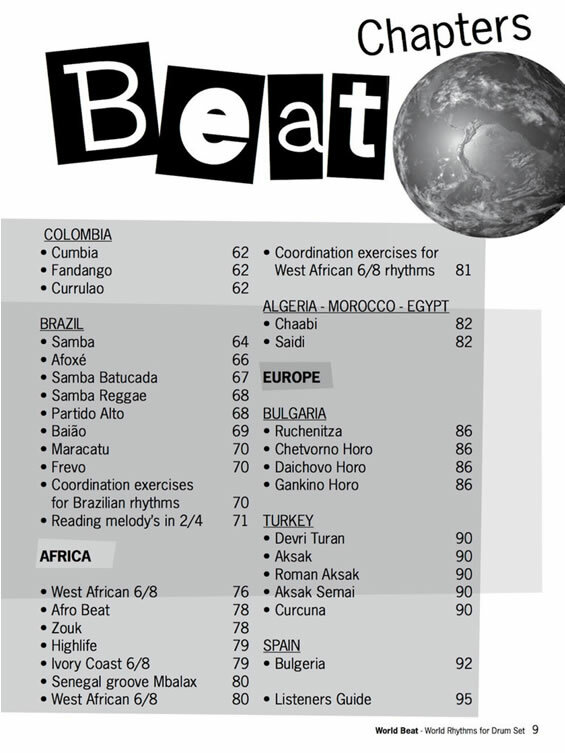 World Beat is available for download with iBooks on your Mac or iOS device. Multi-touch books can be read with iBooks on your Mac or iOS device. Books with interactive features may work best on an iOS device. iBooks on your Mac requires OS X 10.9 or later. 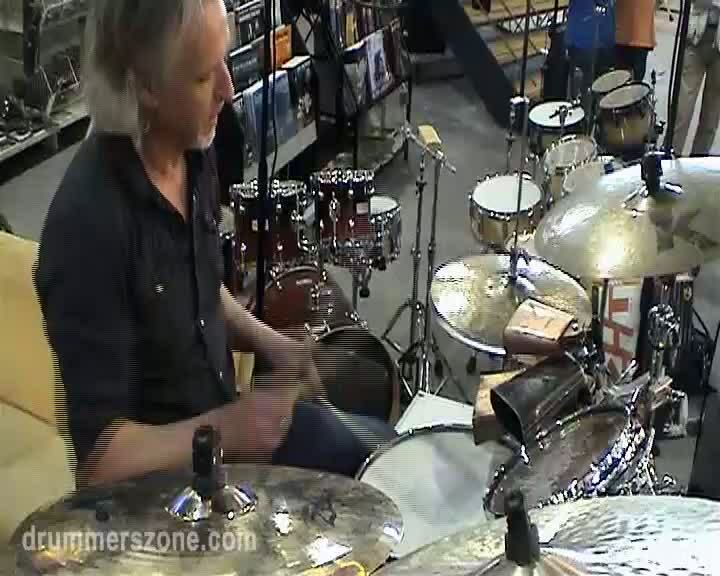 Drummer Lucas van Merwijk has been at the forefront of the European Jazz, Latin and percussion scene since the early eighties of the last century. 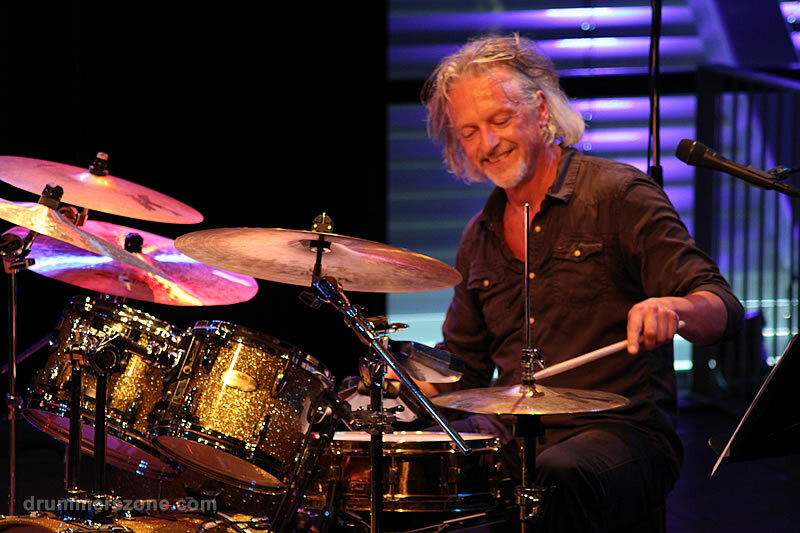 He was elected Best Jazz Drummer and Best Fusion Drummer in the Benelux countries by the readers of Dutch drum magazine De Slagwerkkrant many years running between 1993 and 2015. Lucas is the drummer, leader and producer of several groups among which the world-percussion group Drums United, Van Merwijk�s Music Machine (with a changing line-up every year) and The Cubop City Big Band. All of these experiences have made him develop his own special style, a mix of Cuban, Brazilian and North American rhythms, characterised by powerful percussion and splendid technical skills. In 2010 Lucas was awarded with the Global Act Award 2010, for remaining continuously successful as a leading international Artist in world music, over a long period of time.